Since 1990, ABS has made research and discovery faster, easier, and more reliable. Nearly every major pharmaceutical and biotech company have relied on us to provide, process, characterize, and quality-control high-quality cells and tissues. By taking care of these non-core but critical research activities, ABS frees your team to focus on key scientific and business goals. 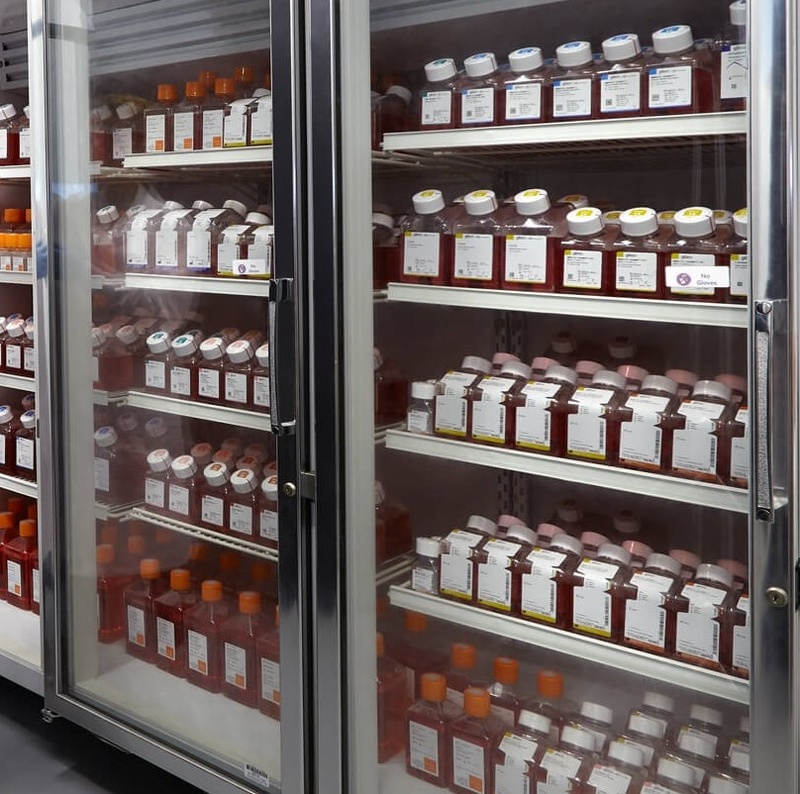 As a global provider of custom biological products and services, our team can supply you with Cell Culture Services, Gene-Editing and CRISPR, Human Biospecimens, Cell and Tissue Preparations and Analyses, and Sample Storage and Logistics. Linda supervises all Laboratory Operations at ABS. She has worked at ABS for more than 18 years and has overall responsibility for all ABS Laboratories, Biospecimen Operations, and ABS’ Biorepository. She is also accustomed and highly skilled at working with cross-functional teams and changing client specifications and priorities, having worked closely on many large multi-disciplinary projects. All Laboratory, Biorepository, and Biospecimen Operations personnel report to Linda. She is an ISO 9001:2015 Internal Auditor, Six Sigma Green Belt, and trained in Lean, HIPAA regulations, and GLP/GMP. Cheri is the Vice-President of Business Operations at ABS. She has more than 21 years’ experience managing ABS Accounting and Business Operations. She manages all ABS Business Operations, including Accounting, Human Resources, Information Technology, Quality Assurance Unit, Shipping and Receiving, and Facilities Infrastructure. Cheri is an ISO 9001:2015 Internal Auditor and a Six Sigma Green Belt, and is trained in Lean, HIPAA regulations, and GLP/GMP. Before joining ABS, Heidi obtained her Bachelor’s degree from Kutztown University and her Master’s degree from the College of Charleston. After graduation, she joined ABS’ sales team in 2009 as a Project Manager. She continues to provide excellent customer service as Director of Client Services. Heidi consults with current and prospective clients in the Mid-Atlantic to identify and provide customized solutions that allow clients to get ahead of deadlines and spend more time focusing on their core competencies. 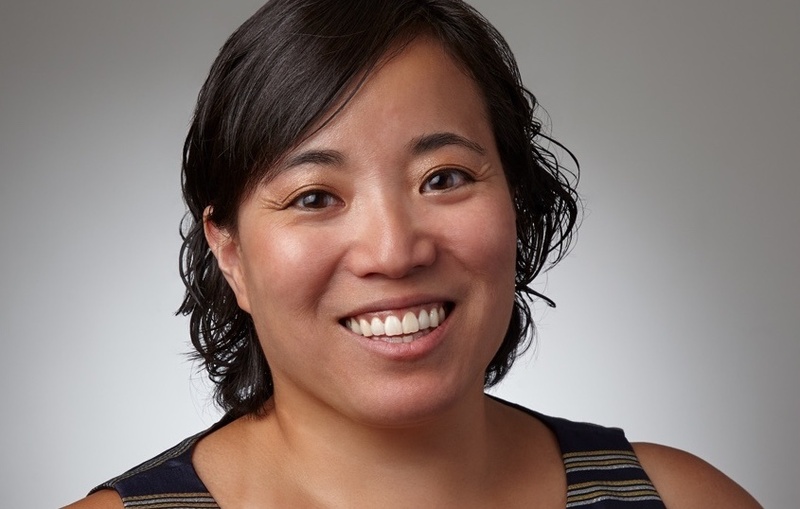 Her love of science initially led to a career teaching middle school science before returning to graduate school to pursue a Master of Science in Biotechnology. During her graduate experience, she realized her expertise was best utilized outside of laboratory research. She believes in her clients’ research, and her goal is to provide them a better pathway to success. Dania joined ABS in 2012 as a Scientific Liaison before growing to take on more responsibility as a Project Manager the same year. She has a degree in Biology from the University of Delaware and extensive sales experience. Her passion for science, ability to build strong relationships, and commitment to helping people find solutions for their needs makes her role at ABS a natural fit. Prior to joining ABS, William worked as a Research Analytics Specialist and Account Manager for the Web of Science Platform. While at Thomson Scientific/Clarivate, he supported the research data needs of academic, nonprofit, and government scientists/evaluators/funders. William enjoys connecting with researchers to discuss emerging research areas and under-represented/underfunded scientific topics. Our focus is to provide the high-quality cells and tissues that are the prerequisites for research. As such, we are ISO 9001:2015-certified for all production activities; plus we regularly undergo internal and external quality audits to ensure continuous improvements in our processes. We maintain complete documentation of every aspect of our collaboration with you, including contacts, project management, and cell culture data entry. Clients may request a report of your project, plus copies of the ABS Quality Manual, our ISO 9001:2015 certification, and relevant procedures. Clients are welcome to visit and inspect our facilities. We get it done right the first time, with turnaround times that are similar to what you would experience in your own laboratories. Our lab personnel have decades of experience meeting strict standards, and our responsive, dedicated business development and service teams ensure on-time delivery. We pride ourselves on serving as an extension of your laboratory, meaning we work with you like members of your internal team. This allows us to fully understand and remain responsive to your needs to drive your desired results. We believe effective communication is a key to driving success. We respond to any inquiry in less than one business day and take a proactive, personalized approach to customer service. ABS is ISO 9001:2015 certified for all production activities. We will provide a copy of our certification upon request. ABS adheres to NCI and ISBER biobanking best processes. ABS has a very low turnover staff rate. Consequently, we have a consistently high level of experience serving our clients. Although our focus is pre-clinical research, our staff is GMP- and GLP-trained and have earned Six Sigma certification. ABS has a near-perfect success rate of shipments arriving intact at the proper temperature. 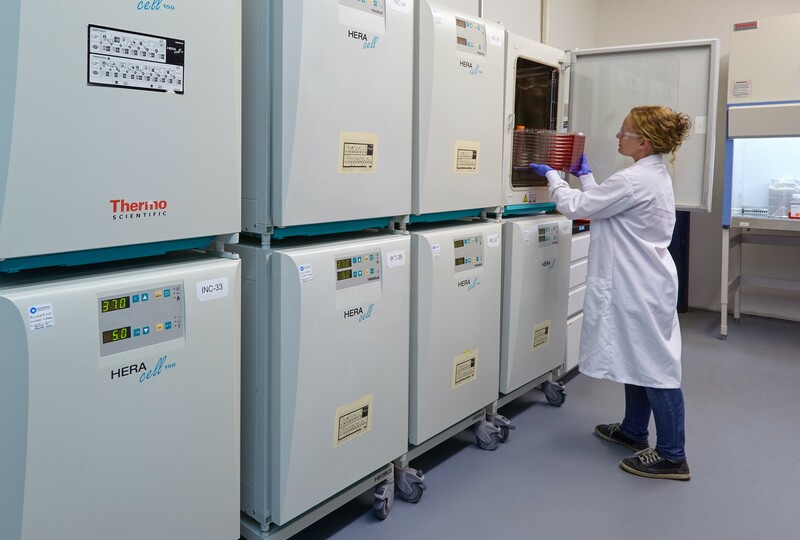 Protect your most valuable samples and ensure your cell lines are safe in case of disaster at your site with secure offsite storage. 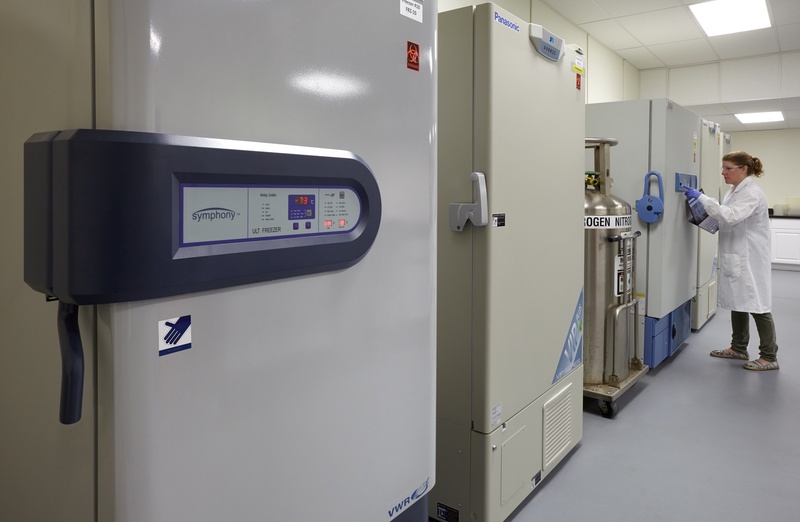 Our cryogenic storage systems are alarmed, monitored, and backed up by a direct connection to liquid nitrogen containers. Relying on our team to provide essential services or specialized expertise is like expanding your facilities and staff. Large numbers of incubators in multiple laboratories mean that your order doesn't have to wait. Our large capacity ensures that we are ready when you are. 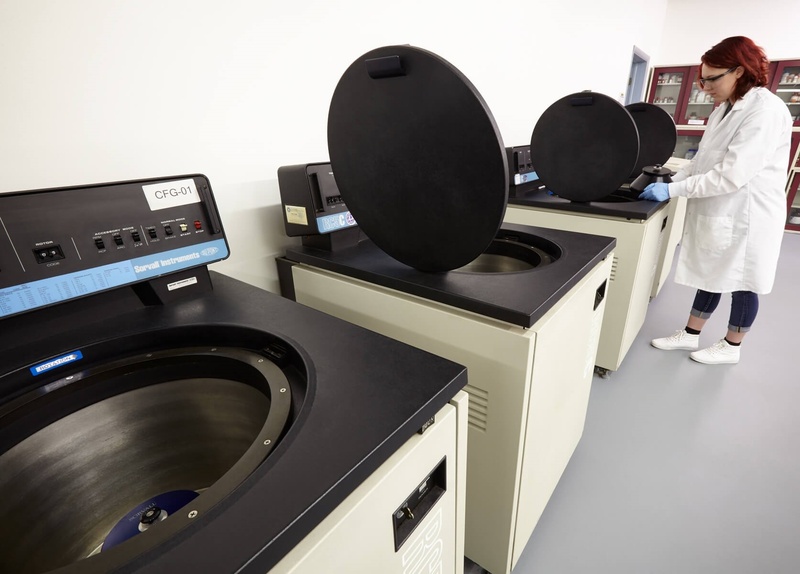 Over twenty low, high, and ultra-speed centrifuges provide you with the capacity to produce large quantities of membranes and other cell fractions. From tissue arrays to RT-qPCR, ABS has the infrastructure and expertise to prepare and analyze your samples. Click the following link to apply for any open positions with ABS. The Cell Culture Scientist is a scientific position who has a broad background in biology with comprehensive cell culture experience. The successful scientist will be responsible for the maintenance of the cell culture laboratory to include all aspects of cell culture for production purposes. They will be responsible for the operation, maintenance, and troubleshooting of equipment, and may also have responsibility for maintaining laboratory supplies. The scientist will grow cells for use in cell-based assays. This position requires accurate record keeping and excellent communication skills as the scientist will work closely with team members and assay scientists to provide valuable product. · The position involves maintenance of cell culture lines to include thawing, expanding, harvesting and freezing lines. · Strict quality control guidelines of all products coming from cell culture must be monitored and adhered to. · Proper and aseptic maintenance of cell culture and production laboratory is required. · Perform all cell preparations adhering to laboratory guidelines in an efficient manner. · The Scientist must be able to effectively communicate with team members and assay scientists the progress of the products and services and be able to respond quickly and accurately to inquiries and requests. · Record keeping, excellent organizational skills and the ability to multitask are a must. · Develop quality control or other scientific assays as needed for scientist’s projects. · Information must be quickly and accurately provided to the scientists and other appropriate personnel within the site. · Absolute confidentiality involving protocols, assays, and possible drug targets. · Stay current with Safety Training as specified by site supervisor. · Education: A Bachelor’s degree or higher in biological sciences with at least two years' experience is required. · Knowledge of cell biology is required. · Excellent interpersonal, organizational, oral, and written communication skills are required. · The position requires a highly collaborative candidate with the ability to multi-task in a fast-paced environment. · Strong data analysis skills and the ability to interpret and document results are strongly desired. · Basic computer skills are required. · The physical ability to perform the required duties. Candidate will be responsible for reorganizing the Biologics Research discovery cell line inventory, including document organization for cell line inventory and physical confirmation, verification, consolidation, and labelling of the cell line vial within the liquid nitrogen inventory. 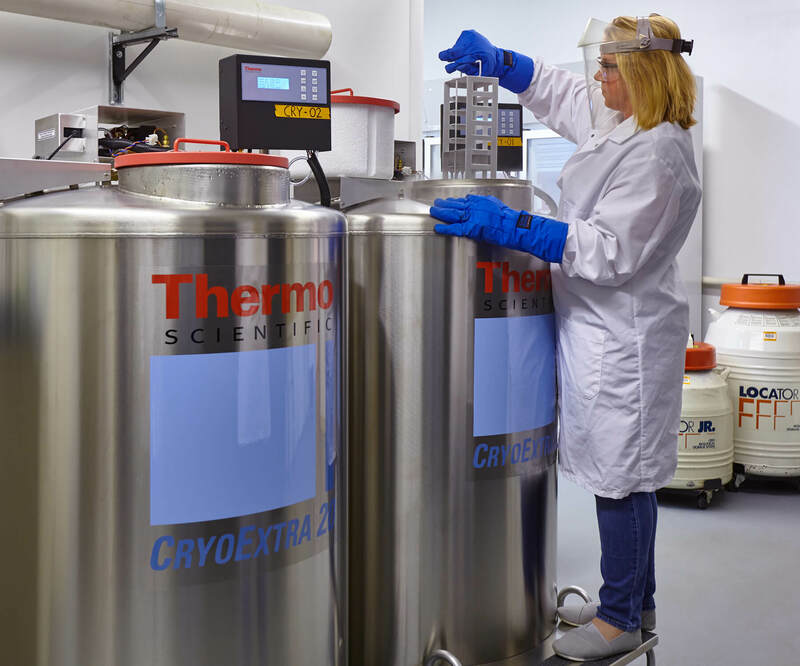 • Cell line inventory verification – ensure documented cell lines within the current inventory reflect the physical vial inventory within the liquid nitrogen tanks. • Reorganization of cell line inventory with appropriate consolidation and/or disposal of samples. • Bar-code assignment for all vials to be retained within the cell line inventory. • Documentation consolidation of inventoried cell lines within current inventory management platform. Familiarization with Mosaic (current inventory management program). • Identification of all inventoried cell lines with associated contractual restrictions. • Monitors and maintains the liquid nitrogen cell line inventory. Performs organizational activities as needed to improve LN2 handling/inventory process. - Maintaining and promoting a safe working environment by adhering to company safety policies. · Education: A Bachelor’s degree or higher in biological sciences is highly recommended. · Ability to work as a team player in an organization that requires working together in a collaborative manner. o Demonstrated experience in the organization and handling of critical samples, preferably cell culture samples. o Individual follows protocols for specific processes and carries out work independently. Special assignments or small projects within the major project that are delegated to the individual are carried out with minimal supervision. o Accepts supervision well and works effectively with other personnel in department to accomplish assigned tasks and processes. Independently contacts individuals outside area of expertise to find solutions to problems. o Effective communication skills for progress updates with both internal and external partners. The Laboratory Assistant/ Intern will work on specific Lab projects as designated and directed, and they are an assistant to the lab staff. Good organizational skills are essential because this position requires handling multiple projects at the same. All relevant information must be accurately recorded when working with the database, FreezerPro. The Laboratory Assistant/ Intern will help the lab with the equipment maintenance duties. Maintenance of: Incubators, water baths, refrigerators, and others as requested by other employees. The Laboratory Assistant/ Intern will help with organizing the storage areas, and helping put away supplies as they are delivered. The Laboratory Assistant/ Intern will help with inventories, chemical, antibody, cell vials, and tissues. The Laboratory Assistant/ Intern will help with large cell culture projects, as a runner. Unpacking flasks?and helping stock up each work station. The Laboratory Assistant/ Intern will follow all SOPs while learning about ABS production processes. Education: A high school diploma is required. Pursuing or having a BA/BS degree in the biological field is highly recommended. Language Skills: The lab Intern must be fluent in English and possess excellent oral and written communication skills. All written communications should be grammatically correct without spelling errors. Mathematics skills: A basic understanding of arithmetic and elementary algebra, such as calculation of percentages and the creation and interpretation of simple graphs, is required. Computer Skills: The lab Intern must be able to search the Internet independently to find necessary information. Basic proficiency in MS Outlook, MS Word, and MS Excel is also required. The Cell Line Inventory Specialist is a scientific position who has a broad background in both molecular and cellular biology with cell culture experience. The successful scientist will be responsible for all cell culture jobs that have been completed in the growth process. They will be responsible for the operation, maintenance, and troubleshooting of equipment that is involved in their position, especially the cryostorage units. This position requires accurate record keeping and excellent communication skills as the scientist will work closely with team members and clients to provide valuable knowledge and product(s). · Oversee all cell culture jobs, once completed by the assigned scientist. This includes, packaging, storage, paper work, and preparing for shipments. · Manage the cell line storage area, including working with the inventory database, and ensuring accuracy of the physical inventory. · Use and maintenance of equipment, especially the LN2 storage units, and monitoring. · General Cleaning of their laboratory area. · Attend and Participate in Cell Culture Meetings. · Prepare proper cell culture and quality controls reports, based on the requirements of the job. · Packaging and Fulfillment of Jobs for shipping. · Communicate job updates and concerns with Clients and Director of Client Services. 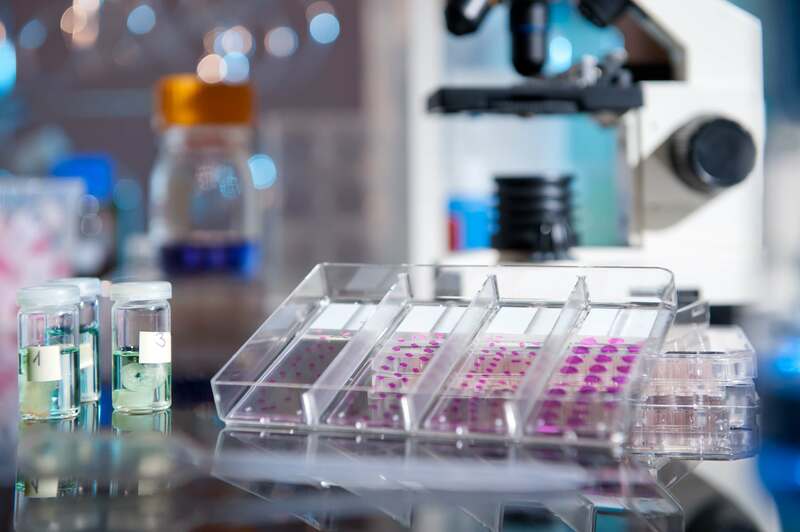 · Once trained on cell culture procedures, the Cell Line Inventory Specialist may be a back-up on cell culture growth jobs to cover for time off. • Education: A BS or BA degree or higher degree in biological sciences is required. • Language Skills: The Cell Line Inventory Specialist must be fluent in English and possess excellent oral and written communication skills. Good listening skills and the ability to respond to requests quickly and accurately are required. • Mathematics Skills: A basic understanding of arithmetic and elementary algebra. • Scientific Skills: The position requires a good general knowledge of human biochemistry, anatomy, and physiology, the functions of cell organelles, and location and function of all human organs and physiological systems. A basic knowledge of the drug discovery process is also required. This position requires a good general knowledge of the working of the cell. information to help process client requests and those of their supervisor in an efficient manner. The Team Leader must become completely proficient in the use of Net Suite. • Good Aseptic Skills are required. Business Development Manager position is currently available in Wilmington, DE. ABS Inc. (www.absbio.com) is a successful bioscience company with over 29 years' experience providing cell culture and other services for R&D to pharmaceutical and biotechnology clients worldwide. Knowledge of Pharma and Biotech Industries is a plus. Education: A BS/BA or higher degree required. A BS/BA or higher degree in biological sciences is highly desirable.